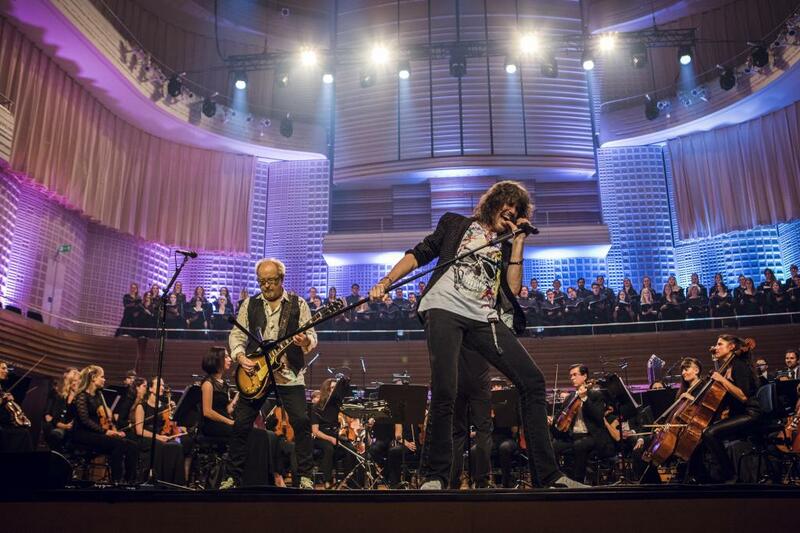 Foreigner are streaming an audio preview featuring clips of all songs as heard on the group’s upcoming release, "Foreigner With The 21st Century Symphony Orchestra & Chorus." Due April 27, the new live project presents the band’s biggest hits as compiled from a pair of May 2017 sold-out shows in Lucerne, Switzerland with a 58-piece orchestra and a 60-piece choir. Conducted by Ernst Van Tiel, the set represents a year-long collaboration between Foreigner founding member and lead guitarist Mick Jones and Grammy-nominated composing/arranging team Dave Eggar and Chuck Palmer. "I could never have imagined when I set out to create Foreigner 40 years ago, that we'd still be touring around the world and performing the music we love all these years later,” says Jones. “Dave Eggar and Chuck Palmer's orchestral arrangements have shown us a new symphonic dimension of our music, which I hope our fans will enjoy." "Foreigner With The 21st Century Symphony Orchestra & Chorus" will be available via CD, 2LP, DVD and digital formats. Foreigner recently previewed the project with a brief spring series of US orchestral concerts where they were joined by The Dave Eggar Orchestra; up next, the band will launch the “Juke Box Heroes Tour” of North America – with guests Whitesnake and Jason Bonham’s Led Zeppelin Evening – in Bangor, ME on June 15.